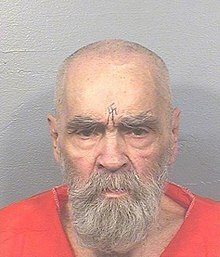 The recent death of Charles Manson left me pondering. As a result of this pondering, I realized I would have preferred a President Charles Manson over a President Hillary Clinton. I have no use for presidents, and I most certainly don't support Trump. However, I am still convinced Hillary would have been much, much worse. So much worse that I'm positive even Charles Manson (assuming he did what he was convicted of doing) would have been better. After all, everyone knew he was crazy, so there wouldn't have been too many people openly supporting whatever agenda he would have been pushing. He was also old and in poor health, so there was a good chance of him dying instead of finishing his term- as it so happened. Probably... assuming his presidential health care didn't extend his horrible life. Now, might all those points also mean he would have been a better president than Trump? Maybe. All I know is that dead presidents are the best presidents. At least, they can't hurt anyone anymore, unless evil idiots continue to enforce the opinions they imposed while alive. But at that point, it's the fault of the evil idiots who continue to enforce the opinions of corpses, rather than being the fault of the corpse where the opinion originated. Don't blame a corpse for the evil actions of the living. But, isn't it bizarre to think how bad politicians must be to make Charles Manson seem a thinkable alternative? I saw Tom Snyder interview Manson on my 21st birthday, which was june 26, 1986. Manson was crazy, of course, but the one thing he said that stuck with me was, " why are you people afraid of me? You should be afraid of yourselves." That is a lot deeper and more profound than you might think if would be, especially in todays world. Yes, it is. It makes a person think. Crap, 1981, not 86. Duh.